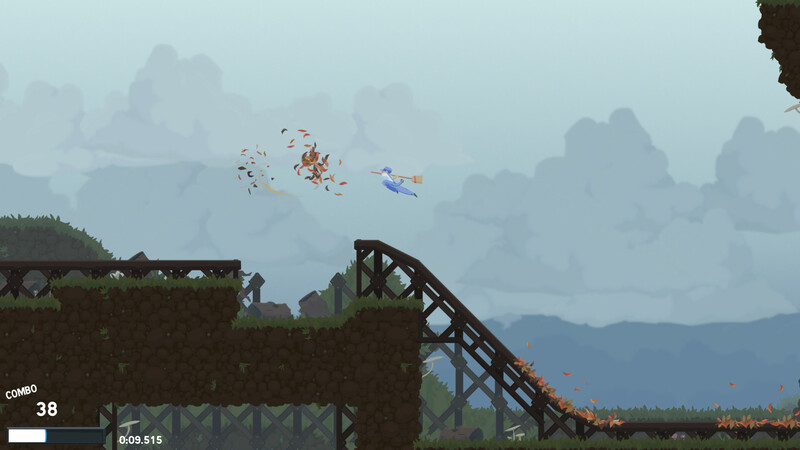 August 23, 2015 Laura M.
Dustforce is…Dustforce is a fast paced, terribly difficult, hair pulling infuriating platformer, and I love it. I hate it, but I love it. 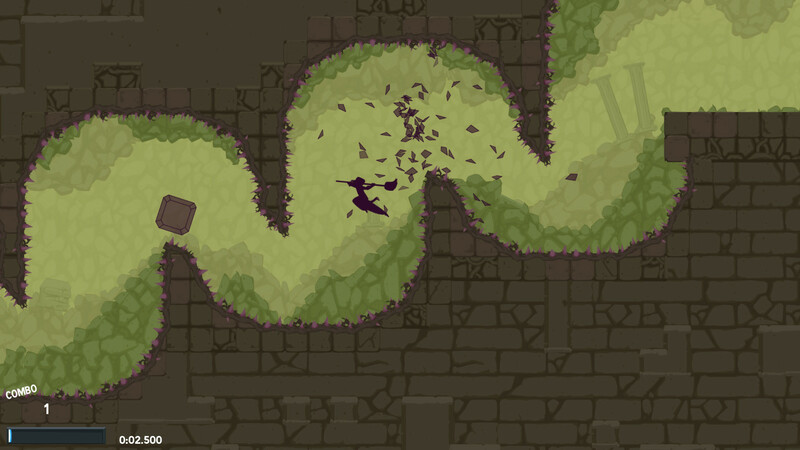 You’re part of the Dustforce, charged with ridding the world from… dust! Go figure, right? I had my reservations about it at first, but as it turns out, it’s a really fun platformer game. The gameplay is simple (and the keyboard controls are simple, too), yet at the same time, complicated. You clean this dust by simply touching it or smacking dusty creatures. You have jumps, double jumps, dashes, normal hit, hard hit, and a few wall and ceiling grabbing skills depending on key combinations used. This requires plenty of skills, because while you’re essentially only using like 3-4 buttons at most, you have to do so in a specific order with a specific timing in order to reach certain ledges/floors/areas. And this, my friends, is where it gets difficult. The levels are progressively difficult, requiring you to hone your button-pressing order/timing skills in order to complete them. While you don’t have to mop away every single trace of dust, you -are- graded at the end according to your performance, and you will need the keys awarded from this to unlock certain levels. The better you do, the easier to unlock those levels. There’s only one achievement for the game (which made me lol a little). The graphics are very nice and simple, they make the game stand out and seem pretty unique, and I really loved it. The character moves around the screen with pretty amazing fluidity, and I just love to see them dash and jump and double jump, and do all kinds of parkour-y things. Dustforce also has a level editor for you to play around in and fiddle to your heart’s content, and you’re able to share your levels with other users. If you’re a fan of platformers and/or difficult games, I really recommend it! If you’re not, steer clear, it’s bound to drive you insane!